and in the enclosed flyer. 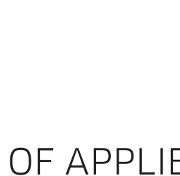 At the Institute of Bioengineering in the Department of Medical Technology and Technomathematics at the FH Aachen on Campus Jülich, a scientific employee position is vacant in the field of biomechanics. The research focus of the IfB lies in the field of soft tissues from cell to organ level. 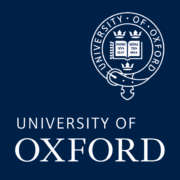 A post-doctoral research assistant (PDRA) position is available for a 2-year term with possible extension (depending on funding and performance) under the guidance of Professor Alain Goriely in Oxford UK. The PDRA, extremely motivated to be fully involved in the research programme, will develop innovative models for brain modelling. Interests of the group concern development, trauma, neurodegenerative diseases of brain and the development depend on multiple computational and analytical techniques (asymptotics, PDEs, FEM, solid and fluid, network theory, ….). Interviews will be in December 2018 or January 2019 and the position can start shortly after a decision has been reached. Arteries are known to have strongly-corrugated lumen. This is readily evident from histology images of the internal elastic lamina (IEL), which usually appears as a heavily-wrinkled layer. The overall goal of this research is to elucidate the biomechanics of such arterial corrugations. The ideal candidate will have a strong background in the biomechanical modeling of tissues, expertise in selecting suitable constitutive equations, and in FEM modeling of complex geometries. Expertise with ANSYS or ABAQUS, or expertise with the specific biomechanics of arteries, would be great assets. 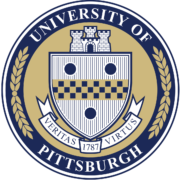 The post-doctoral fellow will collaborate with experimental researchers, create simulation geometries from experimental images of arteries, and simulate these geometries under desired loading conditions.